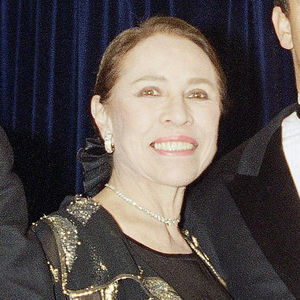 CHICAGO (AP) — Maria Tallchief, one of America's first great prima ballerinas who gave life to such works as "The Nutcracker," ''Firebird," and other masterpieces from legendary choreographer George Balanchine, has died. She was 88. Tallchief died Thursday in Chicago, her daughter, Elise Paschen, said Friday. Tallchief danced with the Ballet Russe de Monte Carlo from 1942 to 1947, but her career was most associated with the New York City Ballet, where she worked from 1948 to 1965. Balanchine, the Russian-born dance genius, was not only the company's director; in 1946, he became Tallchief's husband for some years. She told Women's Wear Daily in 2003 that when she first worked with Balanchine she thought, "'I am seeing music. This is it!' I was a musician myself, and I thought, 'I am in my place now.' I knew that that's the way I wanted to dance." Tallchief was one of five Oklahoma natives of American Indian descent who rose to prominence in the ballet world from the 1940s through the 1960s. She retired in 1965, when she started teaching the next generation of dancers. "My mother was a ballet legend, who was proud of her Osage heritage," Paschen said in a statement. "Her dynamic presence lit up the room. I will miss her passion, commitment to her art and devotion to her family. She raised the bar high and strove for excellence in everything she did." Tallchief created roles in many of Balanchine's ballets, including "Orpheus," in 1948, and "Scotch Symphony," in 1952. She was the Sugar Plum Fairy in his original production of "The Nutcracker" in 1954. Jacques d'Amboise, a former New York City Ballet dancer who partnered with Tallchief in many performances, said she was the Mount Everest of dance. "She was the perfect representative of the American ballerina," said d'Amboise, who with the National Dance Institute in New York. "There is one word for her: Grand. She was absolutely grand." In the 1970s, Tallchief served as artistic director of the Lyric Opera Ballet in Chicago. She later founded and was artistic director of the Chicago City Ballet. Kenneth von Heidecke, founder of the Chicago Festival Ballet, studied under Tallchief during the 1970s in Chicago. Tallchief was an honorary artistic adviser with the ballet. He said he owed Tallchief his career because of her meticulous training. "She would teach classical ballet not just technically ... but she would go beyond that and tell you how the laws of physics help you achieve great elevation or great velocity," von Heidecke said. In 1996, Tallchief became one of five artists to receive the Kennedy Center Honors for their lifelong contributions to American culture. Tallchief was born Elizabeth Marie Tall Chief in 1925, on a reservation in Fairfax, Oklahoma, a small town about 60 miles northwest of Tulsa. Visiting teachers gave her lessons, and her mother later moved the family to Los Angeles so that she and her sister could receive additional training. Tallchief's sister, Marjorie Tallchief, became the first American ballerina to join the permanent star roster of the Paris Opera Ballet. In her 2005 memoir, "Maria Tallchief: America's Prima Ballerina," Tallchief wrote that her first ballet lesson was in the basement of the Broadmoor Hotel in Colorado Springs, Colorado, when she was 3-years-old. "What I remember most is that the ballet teacher told me to stand straight and turn each of my feet out to the side, the first position," Tallchief wrote. "I couldn't believe it. But I did what I was told." Ashley Wheater, artistic director with Chicago's Joffrey Ballet, said Tallchief served as a role model to future dancers. "She's an inspiration for young kids today that come from all different ethnic backgrounds to know that they too can have that opportunity," Wheater said. AP writer Jocelyn Noveck contributed to this report from New York. Add your thoughts, prayers or a condolence to Maria's guestbook.